There are two pieces of software that have been a big part of my career: one was Flash and the other was — and continues to be — Processing. Inspired by the recent article about the history of Processing, I felt compelled to share why I still have Processing at the heart of much of what I do. I can't remember when exactly but I think it was around 2003 when I first bumped into Processing. At the time I was fully immersed in all things Flash — making large brand websites, writing books and speaking at Flash conferences. Whilst Flash had a timeline view, Processing had no such thing. Instead a white canvas just starred back at you waiting for you to type something in, in the hope something would happen. Having grown up with the ZX81 and done a night school course in Pascal this all felt perfectly fine, though I remember first having to get my head around creating classes and the like. Processing code living in what was termed a Sketchbook really spoke to me. It said it's OK to mess around, doodle, make marks (with code) and just push things around to see what may or may not happen. Very much like having a dog-eared notebook in your back pocket you could just pull out, scribble in and put away till the next time inspiration strikes. This idea of sketching-with-code would mean my weekends were usually taken up with doing just that, playing around inside Processing, trying out ideas to see where things might lead. One such weekend I had the idea of taking a frame from a movie, one second at a time and laying them out sixty frames per row for the entire movie. I called it Cinema Redux — always give your work a name — and published it on my website, eventually having it featured in the exhibition section of the Processing site. Then in 2007 I got an email from The Museum of Modern Art asking if they could feature Cinema Redux in their new exhibition called Design and the Elastic Mind. I still remember starring at that email in absolute disbelief — after all I only managed to get a grade C in art at high school. This was ridiculous. 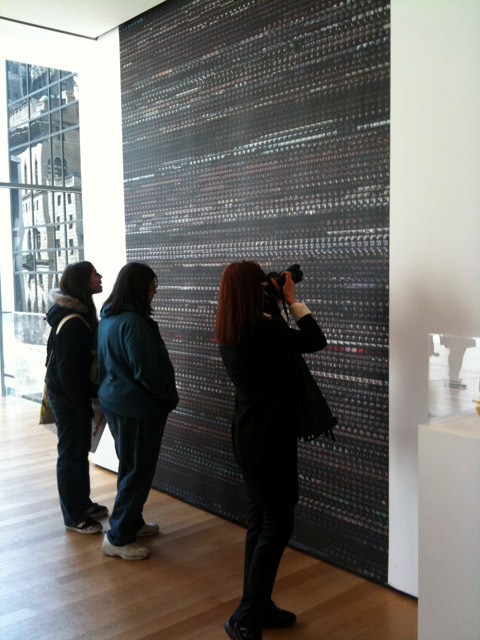 In 2008 myself and my wife travelled to New York for the opening and saw Cinema Redux printed thirty feet high, proudly sat alongside other beautiful work. 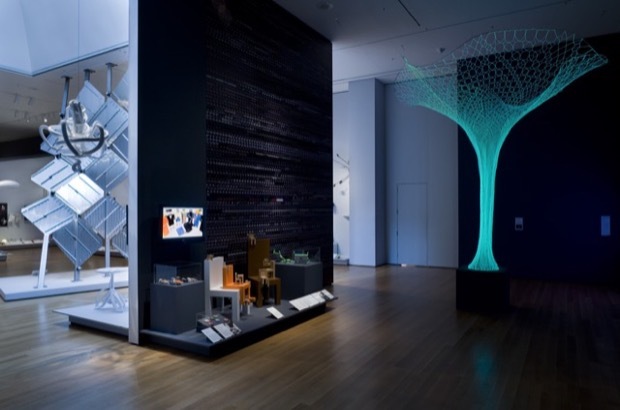 MoMA would then go to acquire the work for the permanent collection, featuring in three more MoMA exhibitions as well as other exhibitions around the world including Big Bang Data. All this made possible because of freely messing about in this wonderful thing called Processing. Since then Processing continues to be a part of my daily work. I've done very high resolution prints for marketing campaigns, I've driven LED data displays for permanent display at one of the world's biggest business consultancies, I've made printable 3D objects of data, I've ran workshops to show people the magic of coding, I've used Processing to write code to solve little problems that I couldn't have otherwise done and a whole lot more. A few years ago I also made my own library — The Dawesome Toolkit — featuring some of the tools I use everyday in my work. It's been wonderful to see how Processing has developed and continues to develop over the years. It's a testament to the sharing, open nature of the web as a whole and to the vision that Ben and Casey had when starting the project and how they continue to drive it. To everyone that has ever contributed code, shared sketches, made libraries, shared solutions on the forum and just been a part of Processing I want to say simply, thank you.